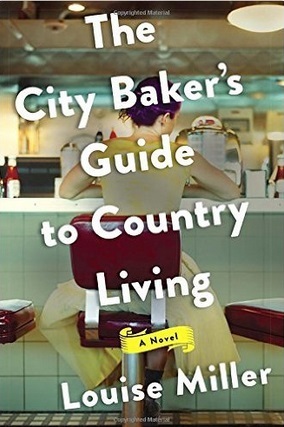 The City Baker’s Guide To Country Living by Louise Miller, a novel about a pastry chef running from her mistakes, is a confection. It’s sweet with just the right hints of tartness and salt, and, like a great dessert, it leaves you wanting more. Livvy is living and working in Boston with nothing but her abandonment issues and a married boyfriend. When she accidentally torches her employer’s posh club with an errant baked Alaska, she runs to her best friend’s home in a pastoral Vermont town. One thing leads to another, and soon this big-city baker finds herself making desserts at the quaint Sugar Maple B&B, whose crotchety owner, Margaret, is hell-bent on reclaiming the blue ribbon at the annual apple pie contest. I loved all the characters, especially prickly, funny, warmhearted Livvy, whose journey is never anything less than believable. The ending packed a few surprises yet also felt truly earned, a tricky combination to nail. Louise Miller renders the Vermont landscape in all seasons beautifully, with shimmering descriptions of humble barns and fields. Combined with Livvy’s mouthwatering desserts, The City’s Bakers Guide To Country Living reads like a New England version of A Year in Provence by Peter Mayle, taking you to a magical place and making you wish you could stay there forever. This is a delightful read! Reviewer Heather Young: After a decade practicing law and another raising kids, Heather decided to finally write the novel she’d always talked about writing. She holds an MFA from the Bennington Writing Seminars, and is an alumnus of the Squaw Valley Writers Workshop and the Tin House Writers Workshop, all of which helped her stop writing like a lawyer. She lives in Mill Valley, California, with her husband and two teenaged children. When she’s not writing she’s biking, hiking, neglecting potted plants, and reading books by other people that she wishes she’d written.